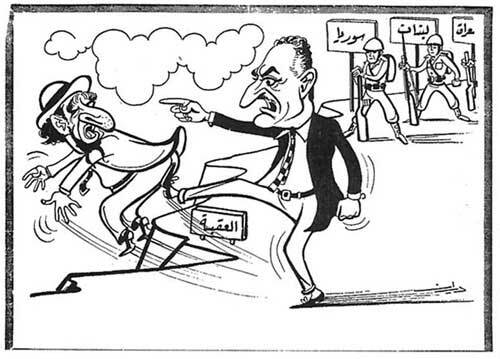 For those who reject Zionism or the two-state solution, what else is there? | "Not About Quality"
As the terrible violence in Israel and the Gaza Strip continues, I’ve seen a lot of commentary that seems to be focused on placing all the blame on one side or the other. Some of this goes so far as to question the legitimacy of either the Jewish state or the goal of a two-state solution that includes a Palestinian state. I’m not sure what outcome the people who reject these things have in mind, but it’s pretty terrible to contemplate. Zionism refers to support for a Jewish homeland in Israel, and there are now about six million Jews living in the State of Israel. 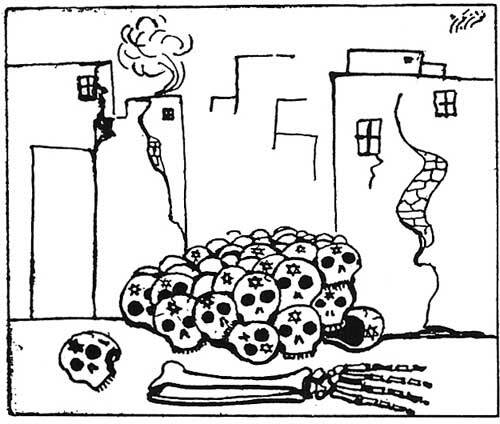 We cannot say for sure exactly what would happen if those Jews lost their state, but these cartoons in Arab newspapers from the Six Day War seem to suggest either driving the Jews into the Mediterranean Sea or piling their skulls in the ruins of Tel Aviv. When someone says they are “anti-Zionist,” they need to be very clear about what their plans are for the six million Jews in Israel. For those who reject the goal of a two-state solution, what is your long-term plan for the Palestinians? Israel could annex the West Bank and Gaza, and either permanently subjugate the inhabitants, or give them full citizenship and end the Jewish majority in Israeli democracy. Alternatively, the “One State Solution: Israel” campaign has a paper in its solutions section that advocates exiling all the Palestinians in the West Bank and Gaza to other countries. I don’t think any of those are good ideas. Sadly, support for the two-state solution is abysmally low among both Israelis and Palestinians. It doesn’t look like it’s going to happen anytime soon, but if anyone as a better idea, let’s hear it.